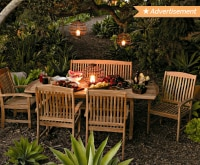 Like most undertakings, gardening involves many accessories, and a potentially overwhelming amount of choices. But fear not, you don’t need every gardening tool in existence. Here, we break down the essential equipment, whether you’re just getting started or have a well-established garden. 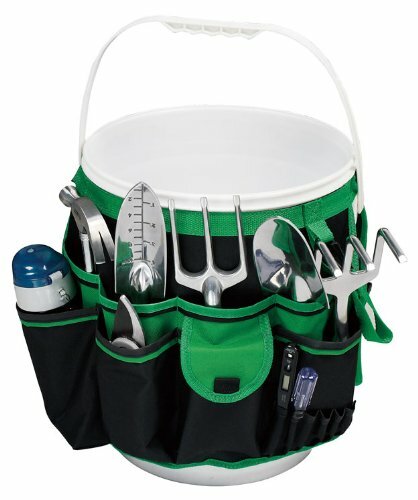 These tools will cover all of your most basic needs, and will make caring for your plants both effective and enjoyable. A gardening trowel is a small hand-held shovel with a pointed tip and scoop-shaped metal blade. 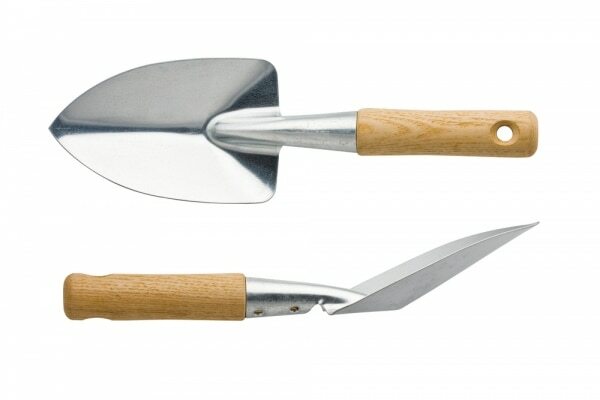 Trowels are used to break up soil, dig small holes for planting and weeding, and adding in fertilizer. The pointy tip can also be used to cut under and lift out sod, split bales of compost, and pry stones out of soil. You can also use a trowel as a flat surface for moving plants along with soil so as not to disturb their growth. 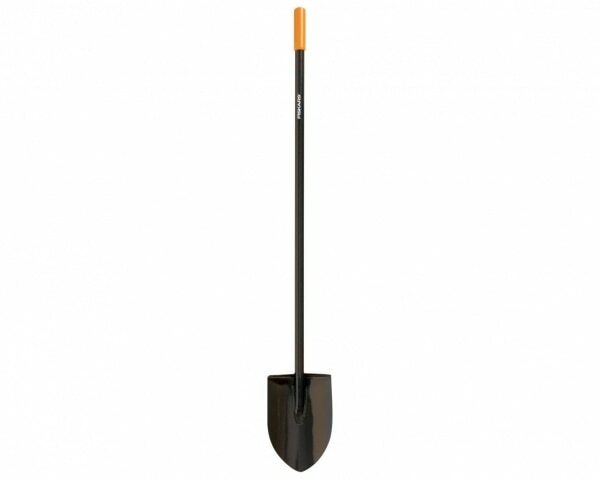 Be sure to find one with a handle that fits comfortably in your hand, and which is gently pointed for easier digging. Hand cultivators have a wide range of uses. The bent prongs allow you to extract and transplant plants without cutting into their roots. 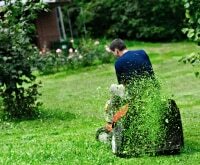 By breaking up soil in clumps, they enable you to remove weeds in one piece, without leaving any roots behind. 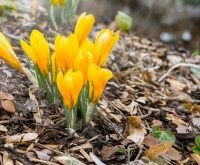 They can be used to churn and open up the soil, doing less damage to the soil and to worms than a spade would, and allowing you to aerate and work in fertilizer. Long-handled cultivators can be used while standing upright, and are also handy for moving materials such as manure, straw, and piles of weeds. Every gardener needs a long-handled shovel, preferably with a pointed tip. These can be used to break up existing soil to add nutrients like compost or manure before you start planting. You can also use shovels for transporting larger plants in place of a hand-held trowel, and for digging holes for larger plants. Shovels with flat tips won’t cut into the ground quite as easily, but are helpful for transporting shovelfuls of dirt and plants. 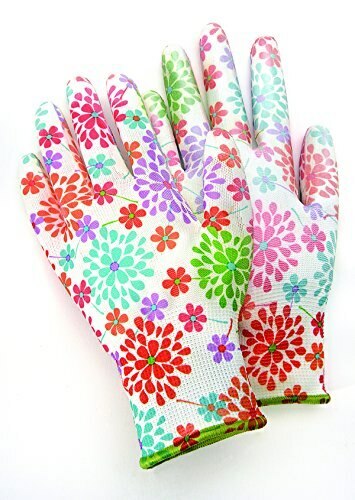 Your hands will take a beating in the garden if you don’t protect them with sturdy gloves. These will prevent blisters and calluses, and shield you from any lurking thorns. 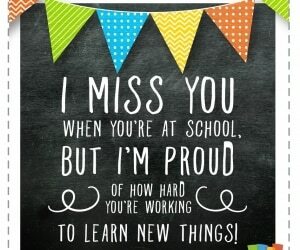 They’re especially useful while weeding, but you can also wear them while shoveling and planting. Try to find a pair with padding on the palms, and with rubberized or otherwise grippy fingertips so they don’t impede your work. You’re probably familiar with traditional leaf rakes used for clearing leaves and small debris. 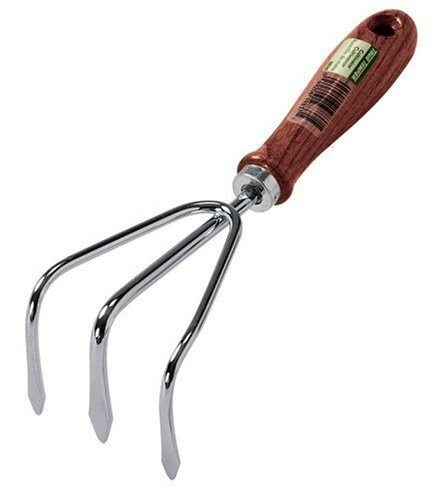 Garden rakes are stiffer, with thicker and more widely spaced teeth. They are ideal for pulling out thick weeds, clearing larger debris, or spreading dirt. You can use them to break up and smooth soil after it has been cultivated. Their sharp, curved prongs get rid of dirt clods, while their straight backs can be used to even out soil for planting. 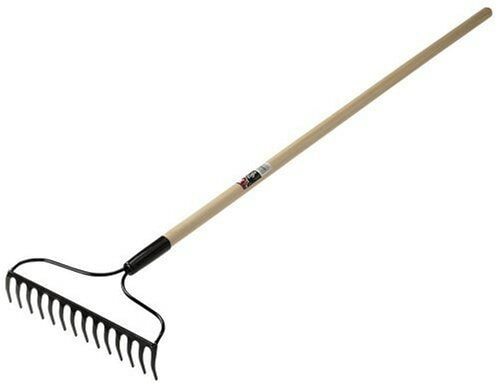 Buy a garden rake . These portable containers with spouts are, of course, used for watering. They come in a range of size and styles, each best suited to a different use. Metal watering cans are heavier but more durable; plastic watering cans are lighter and less expensive, but with a shorter lifespan. 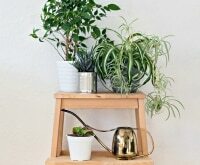 When deciding what size watering can you’d like, consider how much water you’ll need to carry at one time, and how often you’re willing to refill. 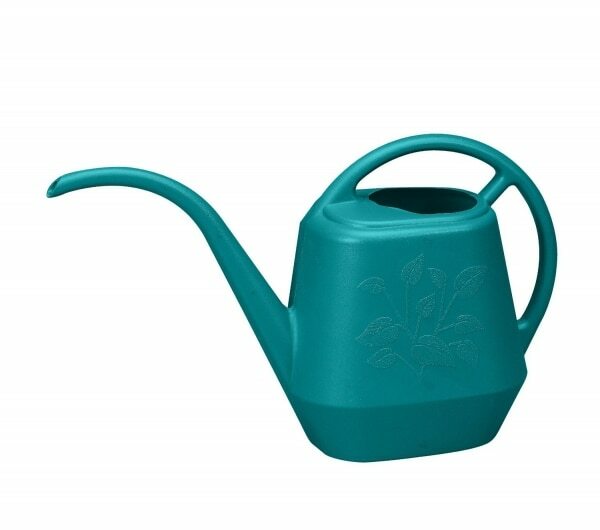 If you’ll need to reach a higher area in your garden, a long-sprouted watering can is best. 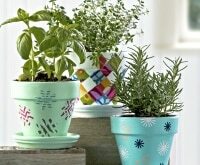 Short sprouts are better for watering pots or already grown plants. When watering, the sprayhead should be facing upwards, while you angle the can until water comes out. You may want to clear the sprout with a needle periodically so water flows freely. 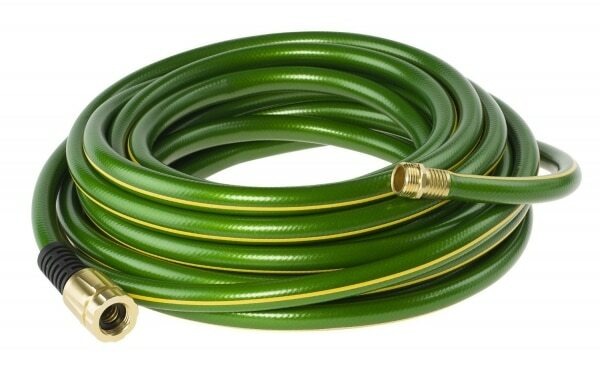 In addition to a watering can, a hose can also be used to water your garden. Hoses come in many materials, styles, and sizes. Vinyl hoses are lightweight and inexpensive, while rubber hoses are more durable. The bigger the hose’s diameter, the more water it will emit. The best length will depend on your needs and how far your spigot is from the garden. If you want to use the hose for gardening, you can get watering wand attachments so it will act similarly to a watering can. 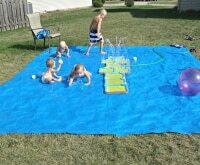 Sprinkler and soaker hoses are specially designed for watering. Sprinkler hoses have holes so water gently sprays upwards, while soakers are porous so they can be buried under mulch and will gradually let out water without much waste. Find the best garden hose for your watering needs. 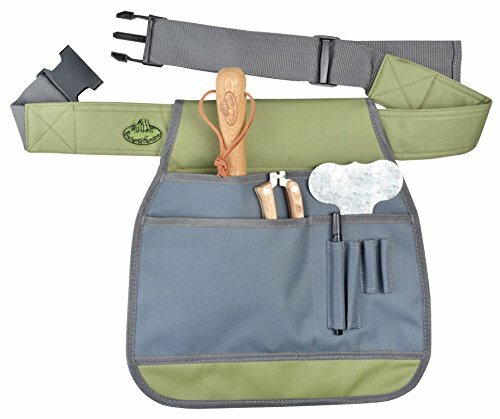 Gardening belts allow you to keep essential tools closeby while leaving your hands free. 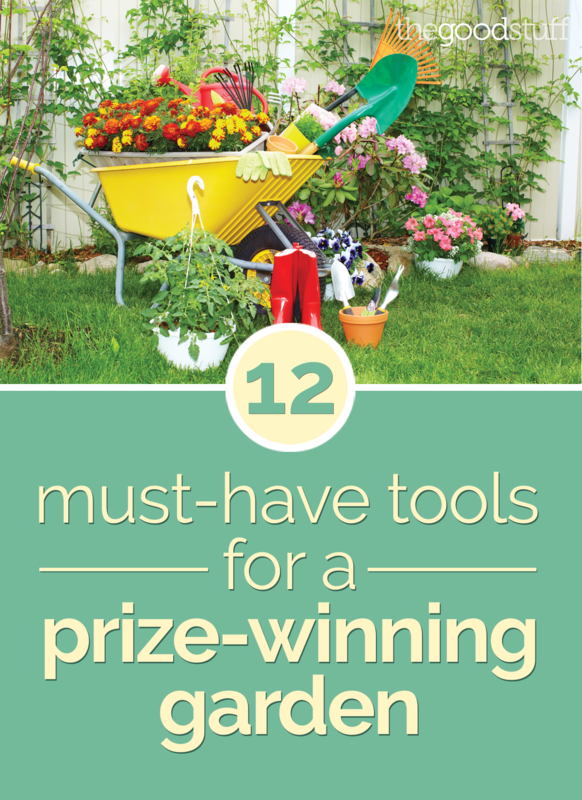 Use one to carry a trowel, water bottle, shears, seed packets, and more. You might want to use it to hold a notebook where you can keep track of what you planted and when, and any other helpful information. Belts come in a range of sizes with a variety of carrying capabilities so decide what you’ll be using it for before purchasing. Find your new gardening belt . Pruning shears are basically scissors for the garden. They are used for trimming and pruning bushes and trees, as well as cutting off dead leaves from existing plants to keep them healthy. When cutting, be sure to hold the branch or plant firmly and make a clean cut, without twisting or snapping anything. Don’t cut too close to the stem or branch. Larger shears require two hands and are better for thick branches. 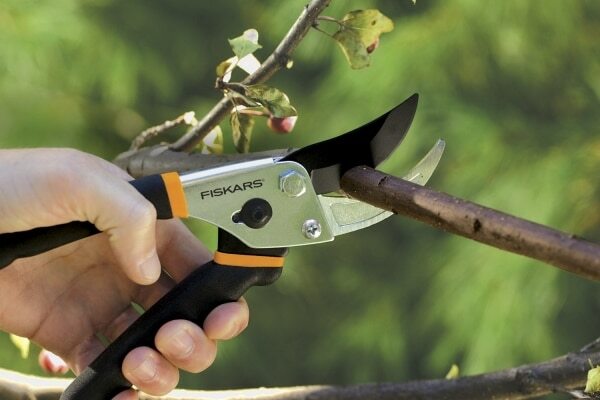 Shop for your new pruning shears . 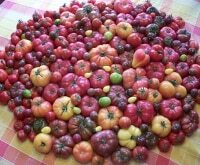 You need to do lots of hauling in the garden. A bucket is useful for gathering weeds, carrying mulch or soil, and even transporting tools. Buckets are also essential for carrying your harvest, be it flowers or fruits and vegetables. 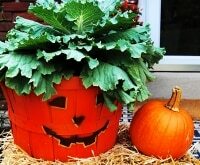 You’ll likely want two buckets to avoid contamination: one for your garden’s yield and one for fertilizers, pesticides, and herbicides. Collapsible buckets are great if you’ll need lots of them since they’re easiest to store. Other buckets come with tool caddies. TubTrugs are popular plastic gardening buckets that come in different colors, are large, sturdy, and easily washable. 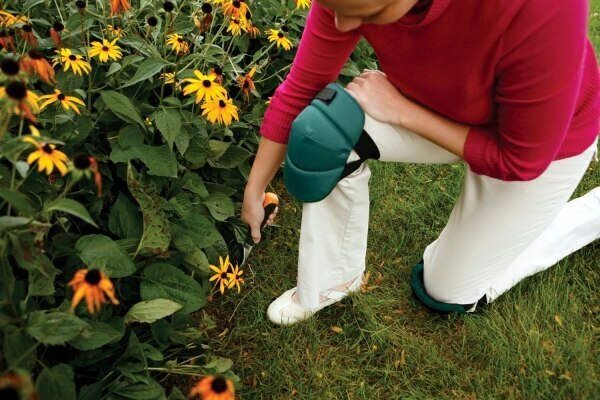 Since you’ll be spending a lot of time on your knees in the garden, knee pads are imperative for avoiding cuts, as well as aches and pains. Look for a pair that has thick padding and is easily adjustable to fit different leg sizes and over clothing. Machine washable knee pads will make life easier. Find your perfect fit knee pads . Wheelbarrows, like buckets, make hauling materials easier, but they have a larger capacity and don’t require heavy lifting. It can also be used as a mobile work area while you are planting and weeding. 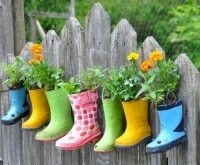 You can also use to hold weeds, sticks, and rocks, or fill it with compost, tools, or flats of plants. Finally, use it when harvesting to hold your garden’s bounty. 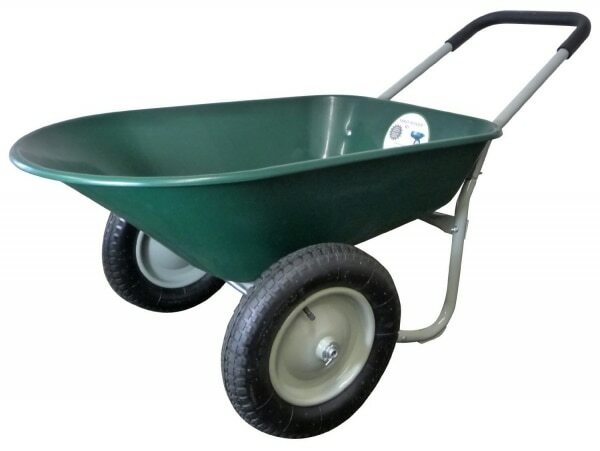 Buy your perfect wheelbarrow . Clean tools will last longer, work more effectively, and keep your garden safe since sterile tools prevent the spread of disease. After each use, remove dirt from tools by spraying with a hose. You can also scrub with a wire brush. Establish a regular schedule for more thorough maintenance (once a month is best). Give tools a complete cleaning by dipping them in diluted household bleach. 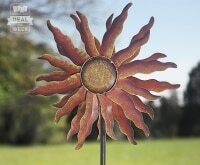 Use turpentine to remove sap and vinegar to remove rust. Rub wooden handles with linseed oil. Hoes, shears, and pruners need to be sharpened. Wipe down blades with a lubricant (WD-40 or motor oil) and file them with a 10” flat mill file at a 20-24 degree angle. You could also use a handheld whetstone or motorized sharpener. Proper storage will also ensure a longer life for your tools, and will minimize maintenance. Always store tools inside in a dry, well-ventilated area, even if you’ll be using them the next day. 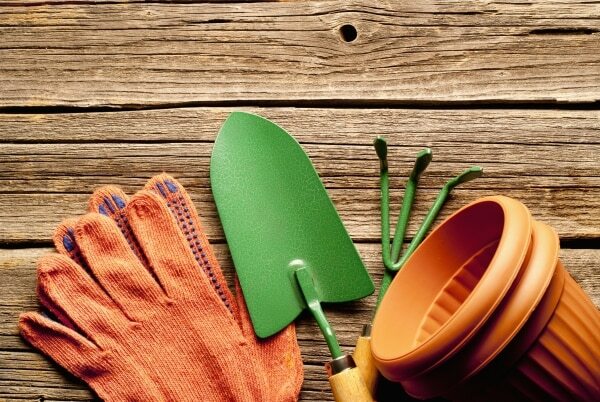 Store small spades and trowels by keeping them in a pot filled with sand that has been soaked in motor oil to keep them lubricated and well-conditioned. You can also hang smaller tools on a pegboard to keep them organized and easy to spot. Larger tools can be hung on the wall, or also on a pegboard. Keep the most frequently used tools within arms reach. Don’t let the abundance of gardening tools leave you overwhelmed and with a cluttered storage shed. 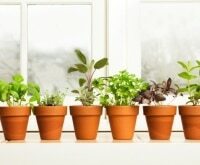 The basics will get you far, and make your gardening effective and efficient. Start out with these essential tools, keep them safe and clean, and your garden will thank you for years to come.